This was formed on 1 April 1940 at Silloth within No 17 Group from the Coastal Command Landplane Pilots Pool. Initially it trained crews for all Coastal Command landplanes and was equipped with Ansons, Hudsons, Blenheims and Beauforts. 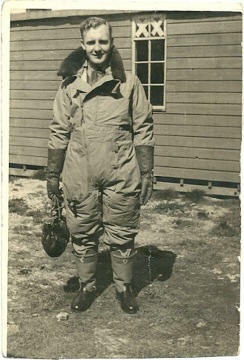 When other OTUs were established for the other types, No 1 concentrated on training Hudson crews. This was formed within No 17 Group, Coastal Command at Catfoss on 1 October 1940. It was tasked with training twin engined fighter and strike crews, for which it was equipped with Blenheims together with a few Ansons. Beaufighters began to arrive in June 1941 but it was well into 1942 before these took over totally from the Blenheims. Other stations used as RLGs from time to time included Driffield, Sherburn-in-Elmet, Hutton Cranswick and Lissett. Eventually the unit was training crews to operate in four home based strike squadrons, four Middle East based squadrons and three out in the Far East. As the requirement for Beaufighter crews diminished it was decided to transfer all training to No 132 OTU and No 2 disbanded on 15 February 1944. This was formed at Chivenor on 27 November 1940, as an element of No 1 (C) OTU taking over the training of Anson and Beaufort crews from the parent unit. It had originally been planned that No 3 (C) OTU would train Wellington and Whitley crews with Beaufort training moving to No 5 (C) OTU but failure to complete new airfields resulted in the Wellington/Whitley element moving to Kinloss, and later Silloth, with the Beauforts staying at Chivenor. On 29 July 1941 the Wellington/Whitley element moved to Cranwell as a lodger unit from Silloth formally becoming No 3 (C) OTU on 6 August, whilst the Beaufort element was re-designated No 5 (C) OTU. Various airfields were used by the unit including, Skellingthorpe, Bottesford, Wellingore, Langham, Squires Gate, Barkston Heath, Steeple Morton and Templeton. The training of Whitley crews had ended by the end of April 1943, when its Flights were reorganised as follows - 'A' Flight (Wellington Conversion), 'B' Flight (Wellington Operational Training), 'C' Flight (Anson Flight) and 'D' Flight (Wellington Operational Training) and in June 1943 the unit moved to Haverfordwest, where the the Ansons. A Polish Flight moved in on 5 November 1943 but on 4 January 1944, the unit disbanded, its tasking being taken over by No 6 OTU. This OTU provided Flying Boat crews for Coastal Command and was formed within No 17 Group at Stranraer on 16 March 1941 having previously been designated the Flying Boat Training Squadron. Equipped with Singapore IIIs initially, these were later supplemented with Stranraers, Catalinas and Lerwicks. In June 1941 the unit moved to Invergordon and in December Sunderlands arrived. February 1942 witnessed the tasks of the unit being split into two with initial training being carried out at Stranraer and operational training remaining at Invergordon but in November the Stranraer element returned to Invergordon following expansion of the station, which was renamed Alness in February 1943. In October 1943 the Catalinas were transferred to No 131 OTU, leaving No 4 to concentrate on Sunderland training. From September 1944, land based support aircraft were operated from Evanton and later Tain. The OTU re-located south to Pembroke Dock in August 1946 and disbanded on being re-designated No 235 OCU on 31 July 1947. This was originally formed as the No 12 Group Pool in Fighter Command on 15 March 1940 at Aston Down. Initially equipped with a few Gladiators and Blenheims, it was soon operating up to 40 Hurricanes and 24 Blenheims as well as Masters and Defiants. A few Spitfires were used between May and August 1940 and during this period (July) the OTU was transferred to No 10 Group. The unit was disbanded by being renamed No 55 OTU on 1 November 1940. It was planned to reform the unit as No 5 (Coastal) OTU, within No 17 Group at Turnberry to train Beaufort crews, but due to the failure to complete the airfield on time the unit actually reformed at Chivenor on 1 August 1941, taking over the Beauforts from No 3 (C) OTU. As well as Beauforts, the OTU also used Ansons and Oxfords. Between 3 - 16 May 1942, the unit moved to its intended location of Turnberry, where Hampdens were added to the unit's inventory. The unit moved again on 29 December 1942, this time to Long Kesh in Northern Ireland, using Maghaberry as a satellite from February to September 1943. During 1943 a number of changes took place, In February, No 3 (Anson) Preliminary Training Flight was transferred to No 10 Radio School and by November, Beaufort training was being cut back due to successes in the Mediterranean and Hampdens were replaced by Venturas with Hudsons being transferred from No 1 (C) OTU. Early in February 1944 the unit moved back to Turnberry and in April took over No 1 Torpedo Training Unit and Beaufighters began to replace the Beauforts. In May 1944 the ASR Training Unit was absorbed from Thornaby and the unit was now operating Beaufighters, Venturas, Hudsons, Warwicks, Oxfords and Martinets. By the time it disbanded on 1 August 1945, it had also added Wellingtons and a Spitfire and when it closed the Warwick commitment was transferred to No 6 (C) OTU. This was originally formed from No 11 Group Pool in No 12 Group, Fighter Command on 9 March 1940 on moving from St Athan to Sutton Bridge, tasked with the operational training of fighter pilots. It was equipped with Hurricanes and Gladiators as well as small numbers of Harvards, Masters and Battles. Its first course was actually No 5 which began on 11 March, the first four having been conducted as No 11 Group Pool. However, to avoid confusion OTU in other commands it was disbanded on 1 November 1940 by being re-designated No 56 OTU. Seven months later it was reformed as No 6 (Coastal) OTU when No 2 School of Army Co-operation at Andover was re-designated on 1 June 1941. It was now equipped with Blenheims and operated within No 17 Group, Coastal Command but was absorbed into No 42 OTU on 18 July 1941. The following day the unit reformed, again as No 6 (Coastal) OTU in No 17 Group, but was now located at Thornaby. Initially equipped with Hudson and a few Ansons and Oxfords, the unit specialised in the training of General Reconnaissance crews. In October 1942, the Hudsons were replaced by Wellingtons and around the same time it absorbed a Polish training flight from No 18 OTU, followed the next month by a Czech flight (No 1429). These two flights were to provide crews for the two Wellington squadrons in Coastal Command crewed by nationals of those two countries. On 10 March 1943, the unit moved to the west side of the country when it relocated to Silloth. The Czech flight disbanded in August 1943 and the Polish flight moved to No 3 OTU in October. In early 1944 the unit took over No 3 OTU's Leigh Light training and the Polish flight returned. On 18 July 1945 the unit moved north to Kinloss, taking over No 5 OTU's Warwick commitment in August. Control was transferred to No 18 Group of Coastal Command on 1 September 1945 and in July 1946 the unit took over Lancaster training. No 6 OTU was disbanded on 31 July 1947 by being re-designated No 236 OCU. This was formed at Hawarden on 15 June 1940 within No 10 Group, to train single seat fighter pilots, it was initially planned to use both Spitfires and Hurricanes, but by August it was purely training Spitfire pilots using Masters and Spitfires with Battles for target towing duties. It was disbanded on 1 November 1940 when it was renumbered No 57 OTU. It reformed at Limavady as No 7 (Coastal) OTU, within No 17 Group on 1 April 1942 at half strength. It's role was now to train Wellington crews for Coastal Command including torpedo training. In December 1942 it was brought up to full strength. The need for torpedo training disappeared in August 1943, which brought about a reduction in size. In the following November the Preliminary Signals Training Flight was transferred to No 12 Radio School and in January 1944 the unit moved to Haverfordwest in Wales, where on 16 May 1944 the unit was disbanded on being redesignated as No 4 Refresher Flying Unit. This was formed at Fraserburgh on 18 May 1942 within No 17 Group by amalgamating the Operational Training Flight of No 1 PRU and the PRU Conversion Flight of No 3 School of General Reconnaissance, it's role being to train PR Spitfire pilots. By November 1942 it was also training PR crews for the Mosquito and in February 1943 moved to Dyce. In July 1943 it was transferred to No 106 (PR) Wing and from September to December 1944 it carried out operational duties over Norway. January 1945 saw it move to Haverfordwest and a return to No 17 Group, but in June it was back under No 106 Group control. Further moves took it to Mount Farm on 21 June 1945, Chalgrove in July 1946 and Benson in October 1946, where it finally disbanded on 31 July 1947 on being redesignated No 237 OCU. This was formed at Aldergrove on 7 June 1942 within No 17 Group , to train long range fighter crews, equipped with Beaufighters, Beauforts and Oxfords. In September 1942 it moved to Crosby-on-Eden from where, at its peak it was producing crews for five Coastal Command units as well as two in North Africa. It disbanded on 11 August 1944, with the overseas commitment being taken over by No 79 OTU and its personnel being transferred to No 109 OTU. This was formed at Abingdon on 8 April 1940 within No 6 Group from No's 97 and 166 Squadrons, which formed the No 4 Group Pool. Its role was to train night bomber crews using Whitleys and during 1940 it ran three 'X' Courses, taking trainee pilots straight from EFTS, training them up to 'Wings' standard before commencing their operational training. On 11 May 1942, the unit was transferred to No 91 Group and from 4 August it took control of an anti-submarine flight detached to St Eval, manned by crews from the Whitley OTUs. This was formed at Bassingbourn on 8 April 1940 within No 6 Group, from the Station HQ and the co-located No 215 Squadron. Equipped with Wellingtons it's role was to train night bomber crews. From December 1941 to February 1942 the unit operated from Tempsford whilst runways were constructed at Bassingbourn and on 11 May 1942 it was transferred to No 91 Group. In October 1942 it completed a move to Westcott and No 92 Group, under whose control it remained until 15 June 1945 when it reverted to No No 91 Group. It finally disbanded on 18 September 1945. This was officially formed at Benson on 8 April 1940 within No 6 Group, from No's 52 and 63 Squadrons, 'C' Flight of No 12 Squadron and the No 1 Group Pool, although it's ORB begins in September 1939. Initially tasked with training light bomber crews with Battles and Ansons, it absorbed No 207 Squadron on 1 May 1940. In August 1940 it accepted its first intake of Polish crews and on 1 December, now equipped with Wellingtons, it became a half heavy bomber training unit. A move to Chipping Warden began in July 1941 in stages with the complete unit having relocated by August. On 11 May 1942 it was transferred to No 91 Group, and then to No 92 Group on 15 November. It finally disbanded on 22 June 1945. This was formed at Bicester on 8 April 1940 within No 6 Group, from the No 2 Group Pool , which comprised No's 104 and 108 Squadrons equipped with Blenheims and Ansons. Initially training Blenheim crews for daylight operations, its role was later extended to include night intruder training. On 15 July 1940 it was transferred to No 7 Group and on 11 May 1942 to No 92 Group. During 1941 it also began providing crews for units in the Middle East with a ferry training flight being established but by the start of 1942 its output was solely destined for overseas. The Ferry Flight was initially designated 'X' Flight but was redesignated No 1442 (Ferry Training) Flight on 21 January 1942. During July 1942 another change in policy occurred with the bulk of the trained crews being passed onto Heavy Bomber OTUs instead of going to the Middle East. September 1942 saw trained crews again being passed onto No 2 Group which became the destination for the entire output in October with No 1442 Flight having been disbanded. In November, the unit reverted to providing crews for overseas as well as No 2 Group and as a result No 307 FTU was in formed as an integral part of the unit on 24 December. In March 1943 No 307 FTU moved to Finmere where it replaced its Blenheims and began training crews on Boston. Also, in May, Finmere became home to the Mosquitos transferred from No 1655 Mosquito Conversion Unit, whilst a Mitchell training flight was formed at Turweston, with it first aircraft arriving the following month. With the transfer of No 2 Group (its main customer) to 2nd Tactical Air Force, No 13 OTU was transferred to No 70 Group on 1 June 1943, although No 1655 MCU was separated from the OTU and remained with Bomber Command. In October No 307 FTU was transferred from No 70 Group at Finmere to No 44 Group at Melton Mowbrey. Further changes in control followed with 13 OTU moving to No 9 Group on 1 November 1943, with the OTU once again acquiring Mosquitoes and to No 12 Group on 15 September. On 12 October 1944 the unit moved to to Harwell with Boston and Mitchell training being centred on the Satellite at Finmere. No 2 Group assumed control on 3 March 1945 followed by No 60 OTU moving to Harwell on 13 March, where it was absorbed into No 13 OTU. Boston training ended in March 1945, with Mitchell training continuing together with Mosquito training, which was increased to provide crews for the Far East. Following VE-Day Mitchell training ended in June and then in July the unit moved to Middleton St. George in No 12 Group, remaining there until 21 April 1947 when it moved to Leeming, where on 1 May it merged with No 54 OTU to form No 228 OCU. This was formed at Cottesmore on 8 April 1940 from No 185 Squadron, within No 6 Group, to train night bomber crews for which it was equipped with Hampdens and Herefords. It was transferred to No 7 Group on 15 July 1940 until 11 May 1942 when No 7 Group was renumbered No 92 Group. From August 1942 Wellingtons began to replace the Hampdens and on 1 August 1943 it moved to Market Harborough, where it disbanded on 24 June 1945. This was formed at Harwell on 8 April 1940 from the No 3 Group Pool , which comprised No's 75 and 148 Squadrons, within No 6 Group, to train night bomber crews using Wellingtons. It was transferred to No 7 Group on 15 July 1940 until 11 May 1942 when No 7 Group was renumbered No 92 Group. From May it began training crews for overseas Wellington units at the rate of 15 per month as well as still proving 10 crews per month for Nos 1 and 3 Groups. Those crew destined for the Middle East were to be trained to a higher standard then the Bomber Command crews as they would be expected to ferry their own aircraft out to Egypt. The satellite at Hampstead Norris was used as the base for those crews training to ferry their aircraft out to the Middle East with the first three crews leaving for Gibraltar on 9/10 May 1941. The Overseas ferry element was redesignated No 1443 (Ferry Training) Flight and finally No 310 Ferry Training Unit, disbanding on 17 December 1943. In July 1941 the unit moved to Mount Farm whilst the airfield at Harwell was having hardened runways laid, returning in February 1942, where it remained until disbanding on 15 March 1944. This was formed at Upper Heyford on 4 April 1940 from the No 4 Group Pool , which comprised No's 7 and 76 Squadrons, within No 6 Group, to train night bomber crews for which it was equipped with Hampdens. The first Hereford, with which it was intended to re-equip the unit, arrived the following month but as a result of the unreliability of the engines, orders were received in March 1941 that all Herefords were to converted to Hampdens. It was transferred to No 7 Group on 15 July 1940 until 11 May 1942 when No 7 Group was renumbered No 92 Group. In March 1941 a new policy was introduced in No 5 Group in that three Hampden squadrons would be linked to three Manchester squadrons, one of each being located at the same station. As a result No 16 OTU continued to bed tasked with the training of Hampden crews but its entire output would now be posted to these Hampden units. After 100 hours of operational flying the Hampden crews would then be sent to No 25 OTU at Finningley for conversion to Manchesters before being posted back to the co-located Manchester unit. However, whether this policy was actually introduced and for how long is unclear. In May 1941 an Initial Training Wing was established at Upper Heyford under the control of the OTU, with the first group of trainees passing out at the end of June but is later referred to as a Pre-ITW. There appears to no mention of the Pre-ITW after August 1941. The unit began to convert to Wellingtons in April 1942 with 23 aircraft having arrived by the end of that month but it was July before the last Hampden would be retired. Also in April No 16 OTU became responsible for the new satellite airfield at Barford St John, which was still under construction. Until 18 July 1942 the unit had used RAF Croughton as a satellite but from that date its 'A' Flight moved to RAF Hinton-in-the-Hedges as Croughton was taken over by Flying Training Command, however, as Hinton was also being used by Bicester, 'A' Flight moved back to Upper Heyford on August but returned on 23 August when it was vacated by No 13 OTU at Bicester. On 15 December 1942 the new satellite was opened at Barford St John in in the same month the unit inaugurated the No 92 Group Instructors' Course to train air and ground instructors for OTUs. On 2 April 1943 'A' Flight moved to Barford St John from Hinton-on-the-Hedges followed in late March 1944 by 'C' and 'D' Flights, allowing Upper Heyford to have concrete runways laid and the arrival of No 91 Group Servicing Flight, who were tasked with modifying Wellingtons for all three OTU Groups. As a result of losing the airfield at Upper Heyford, the unit was reduced to a ¾ OTU on 9 May 1944. The unit disbanded on 1 January 1945 but reformed within No 92 Group the same day when No 1655 (Mosquito) Training Unit was redesigned No 16 OTU. It was transferred to No 91 Group on 14 June and in November the elements at Barford St John returned to Upper Heyford, thereby now being located on the same site. The unit remained at Upper Heyford until 1 March 1946 when it moved to Cottesmore, where it disbanded on 1 May 1947, with some of its aircraft personnel being transferred to No 231 OCU at Coningsby whilst No 16 OTU was redesignated No 204 Advanced Flying School. This was formed at Upwood on 8 April 1940 within No 6 Group, from No's 35 and 90 Squadrons equipped with Blenheims and Ansons. Initially training Blenheim crews for daylight operations, it was transferred to No 7 Group on 15 July 1940 until 11 May 1942 when No 7 Group was renumbered No 92 Group. As the need for Blenheim crews reduced the OTUs strength was also reduced towards the end of 1942 and on 17 April 1943 it moved to Silverstone, where it converted to Wellingtons, initially as a ¾ Medium Bomber OTU but in July it was allocated Turweston as a satellite and raise to full OTU status. On 15 June 1945 it was transferred to No 91 Group and at the end of Octobe 1946 moved to Swinderby, where it was redesignated No 201 Advanced Flying School on 15 March 1947. The above three photos show the personnel on No 41 Course at No 17 OTU. 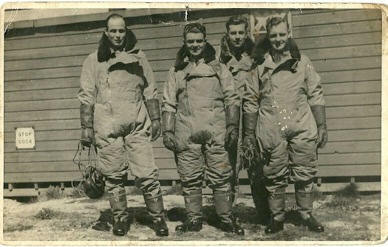 Photos courtesy Geraint Llewelyn, whose uncle is second from the right in the middle row of the pilots group. He was killed on 21 Aug 1942 whilst flying in an Anson of No 19 OTU. Sgt Albert Joseph Young, and other members of Course No 41, 17 OTU. This was supposedly formed at Hucknall on 16 June 1940 from the Polish Training Unit within No 6 Group, as a Battle equipped light bomber training unit for Polish crews, however, its ORB begins on 1 May and appears to have been in existence prior to that date. From the beginning it operated a detached flight at Penrhos for navigation and gunnery training, but this was withdrawn in July, however, in 1940 it was reduced to a half OTU and moved to Bramcote, where it re-equipped with Wellingtons. In July 1941 it took over the newly built Bitteswell as a satellite and was raised to a ¾ OTU on 30 September. On 11 May 1942 it was transferred to No 91 Group and then on 1 September 1942 to No 93 Group, by now it was training crews other than Poles. In October 1942, a Polish flight was transferred to No 6 (C) OTU at Thornaby bringing the unit back down to half OTU status. In February 1943 it began moving to Finningley, which was completed by the beginning of April and at the same time lost its satellite at Bitteswell but gained a new one at Bircotes. With Gamston and Worksop also being taken over it was gradually brought back to full strength but with a reduced Polish presence. In October 1944 reverted to the control of No 91 Group, then in December, the last Polish flight was transferred to No 10 OTU and No 18 OTU moved to Worksop to compete its last course, disbanding on 30 January 1945. This was formed at Kinloss on 27 May 1940 within No 6 Group, to train night bomber crews, with Whitleys a type it continued to use until 1944 long after the type had been retired from Bomber Command. Its first course commenced on 15 June consisting of 13 pilots, 6 observers and 12 air gunners. On 11 May 1942 it was transferred to No 91 Group and operated satellites at Forres and Brackla, but the latter was transferred to No 29 Group in April 1944. It eventually began re-equipping with Wellingtons in August 1944 and at the same time formed a Mountain Rescue Team. The final training flight took place on 14 June 1945 and it finally disbanded on 26 June, having completed 112 courses, Course No 113 being transferred to No 20 OTU at Lossiemouth for completion. This was formed at Lossiemouth on 27 May 1940 within No 6 Group as a Wellington equipped night bomber half OTU. In June it took over a satellite airfield at Elgin, initially called Bogs of Mayne and a Defence Squadron was formed in July. The establishment of the unit was raised to that of a full OTU in January 1941. On 11 May 1942 the unit was transferred to No 91 Group and at the end of the month a detachment were sent from Elgin to Stanton Harcourt to take part in the 'Thousand Bomber' raids, returning on 3 June. A further detachment was sent to Snaith at the end of June to participate in the last of the 'Thousand Bomber' raids, returning on 28/29 June. Milltown, an 'unbuilt' aerodrome, was opened as an additional satellite on 14 June 1943 and was used until transferred to Coastal Command on 1 September 1944. The final course ended on 7 July and it finally disbanded on 17 July 1945. This was formed at Moreton-in-Marsh on 21 January 1941 from an element (1 x Plt Off, 1 x Sgt, 2 x Cpls and 15 ACs) supplied by No 15 OTU, within No 6 Group to train night bomber crews on Wellingtons. At the time of formation the station was still under construction but its first aircraft began arriving in February, although none of these were fitted with dual controls so two had to be borrowed from No 15 OTU. Through February a steady stream of personnel began to arrive to man the unit with its first commanding officer arriving on 21 February. No 1 Course began on 1 March with just two aircraft, but as more aircraft arrived No 2 Course began on 18 March, after which further courses arrived at approximately fortnightly intervals. Initially it had made use of Chipping Warden for night flying but when this was transferred to Benson, the unit lacked a satellite until September when it took over RAF Edgehill. This was formed at Wellesbourne Mountford on 14 April 1941 within No 6 Group, with the first course beginning on 6 May. Equipped with Wellingtons, it trained night bomber crews for the rest of the war. An advance party arrived at its new satellite airfield at Stratford (also referred to as Atherstone) on 5 July 1941 with 'A' Flight moving there from Wellesbourne on 12 July followed by 'B' Flight in August and 'C' Flight in September. On 11 May 1942 it was transferred to No 91 Group and at the end of the month hit despatched 35 aircraft on the first of the 'Thousand Bomber' raid against Cologne from which four failed to return. The following night it despatched 34 aircraft to Essen without any losses and on 25 June 21 aircraft took part in the raid against Bremen with two failing to return. In July was raised to 1 ¼ OTU status and on 1 September it took over Gaydon from Chipping Warden as a replacement satellite and shortly afterwards Training Wing moved there whilst the runways at Wellesbourne were under repair. Reverting to normal OTU status in February 1943 it concentrated on training RCAF crews, being expanded to 1½ OTU status when 'B' Flight of No 23 OTU was absorbed, taking over Stratford on 15 March as its second satellite at the same time. Both Wellesbourne and Gaydon where taken over by No 5 GTS on 24 July 1945 and the unit disbanded the same day. This was formed at Pershore on 1 April 1941 within No 6 Group Equipped with Wellingtons, it trained night bomber crews for the rest of the war. By June it had taken over Defford as a satellite and on 11 May 1942 it was transferred to No 91 Group. On 18 May Defford was handed over to the Ministry of Aircraft Production resulting in the size of the OTU being reduced as it was now required to operate without a satellite. Along with the other OTUs it was called upon to provide aircraft and crews for the three 'Thousand Bomber' raid, the first of which took place on 30/31 May with No 23 OTU providing 34 aircraft and crews, one of which was lost. The following night another 33 aircraft was despatched to Essen with two failing to return but on 25/26 June it was only able to provide 17 aircraft for the raid on Bremen resulting in the loss of a further two aircraft. The unit later provided aircraft to other large Bomber Command operations. On 16 November 1942 it took over the satellite at Stratford from No 22 OTU and was then able to expand until disbanding on 15 March 1944 with 'B' Flight being transferred to No 22 OTU.